Moscow is a staunch supporter of Basher Assad’s regime and has also maintained close ties with Iran. 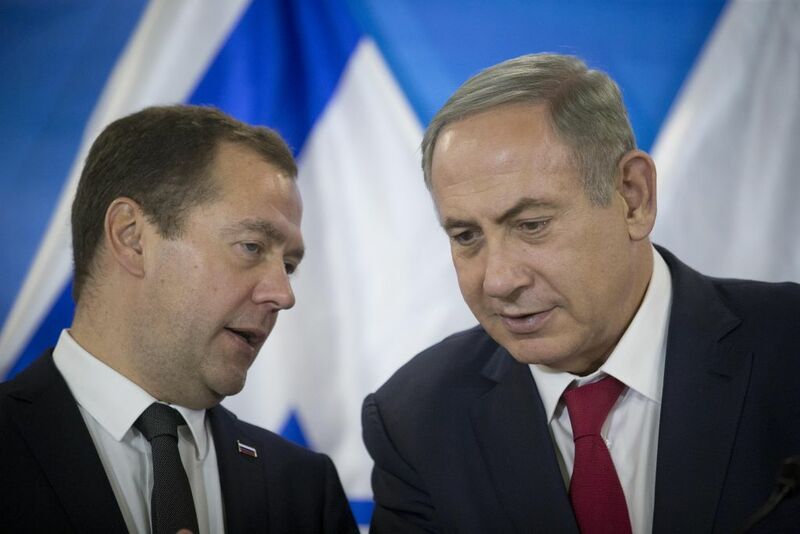 But in recent months the government of President Vladimir Putin has increased military cooperation with Jerusalem to prevent the Russian and Israeli militaries from clashing over Syrian skies. “Israel, Russia, the United States and many other countries share the objective of defeating the Islamic State,” Netanyahu said standing next to Medvedev in the Prime Minister’s Office. The prime minister thanked his Russian counterpart for the close security coordination — a so-called deconflicting mechanism — aimed at preventing clashes between Israeli and Russian fighter jets from clashing over Syria, as Israel routinely enters the country’s airspace to prevent hostile actors from smuggling arms or planning attacks. “This, too, highlights the dramatic change in our bilateral relations,” Netanyahu said. 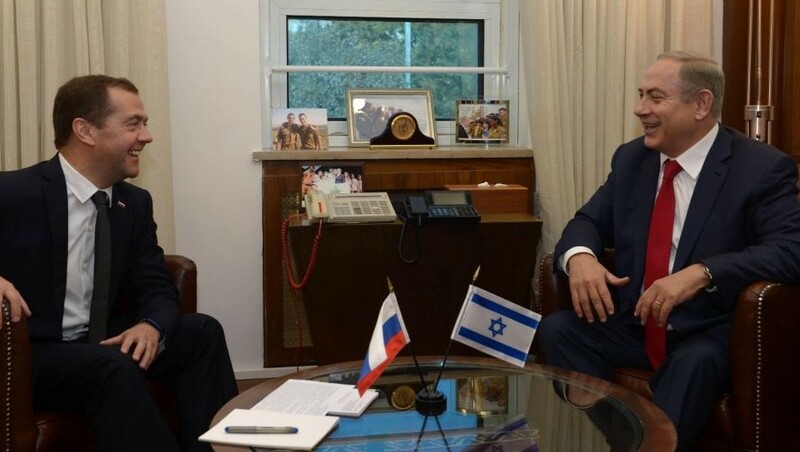 Earlier on Thursday, the Russian prime minister, who last visited Israel in 1990 — long before he entered politics — met with President Reuven Rivlin. 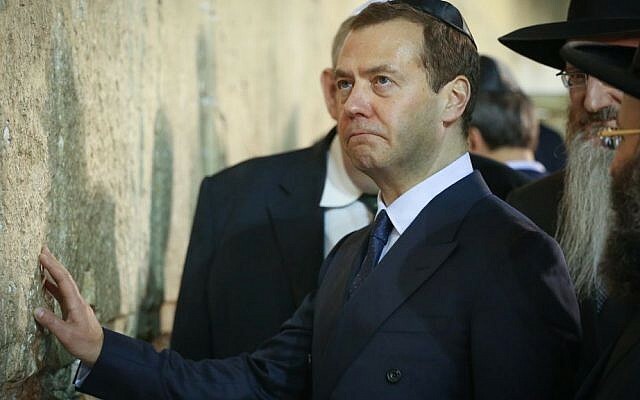 Medvedev’s two-day trip to Israel is part of a series of bilateral exchanges to mark the 25th anniversary of diplomatic ties between Israel and the Russian Federation. 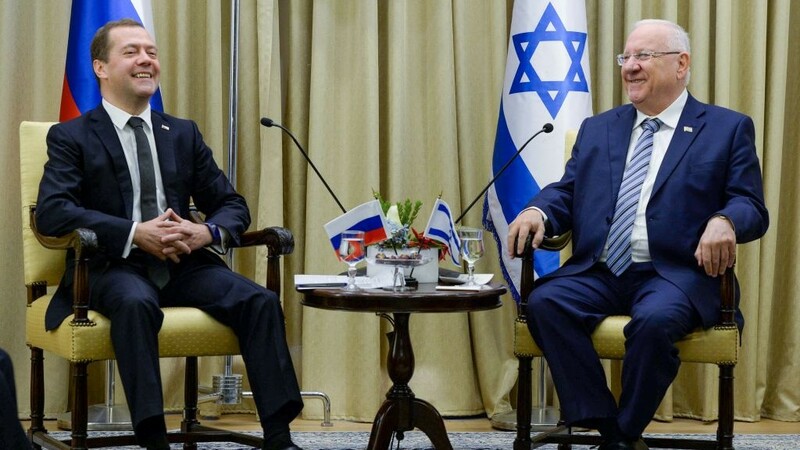 Both Netanyahu and Rivlin visited Moscow in 2016. 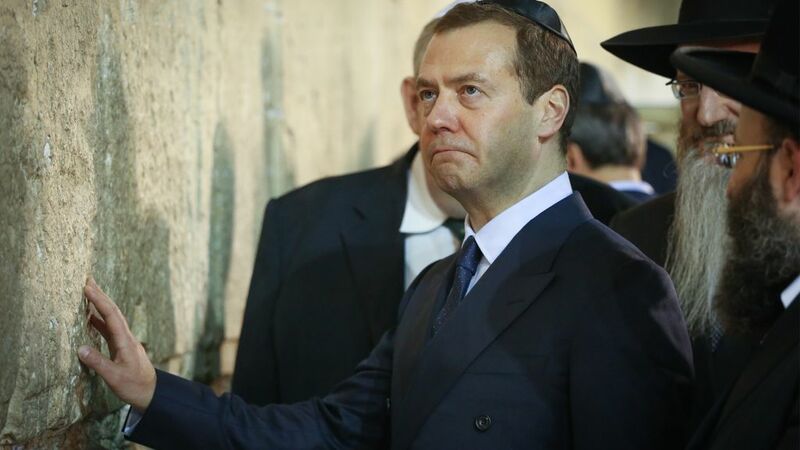 Medvedev arrived Wednesday evening and headed straight from the airport to Jerusalem’s Old City, where he visited the Western Wall and the Church of the Holy Sepulchre. 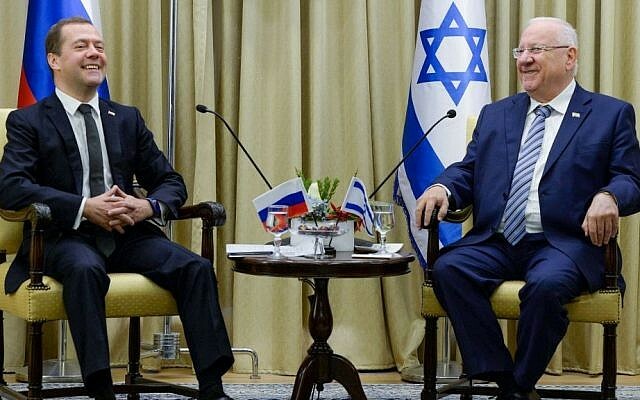 On Friday evening, he will return to Moscow from Israel’s Ben Gurion Airport.